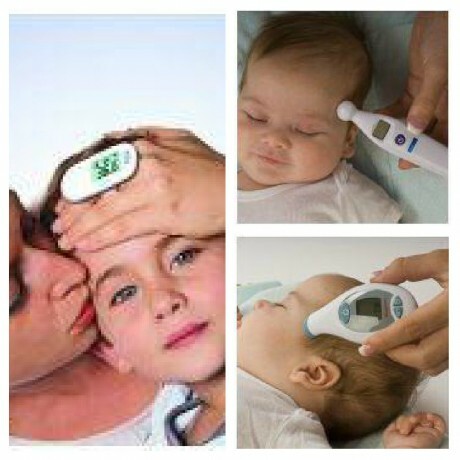 Medisim Touch Thermometers #babyshower Giveaway. Taking the temperature of a baby or an active, wiggly toddler should be an Olympic Sport. Trying to get them to hold them under their tongue or under their arm is a challenge in patience. And don’t even get me started on taking their temperature ‘up there’. Medisim has an entire line of touch thermometers that make taking their temperature so easy. The economical, reliable, and non-invasive TempleTouch™ Premium is the world’s only combined thermometer for both temple & underarm measurement. It is the winner of multiple parenting awards and is so popular that one is sold every second in the US. One lucky winner will receive a $100 Thermometer Prize Pack that includes 2 MothersTouch, 1 TempleTouch and a Mini Temple thermometer. Giveaway is open to both US and Canada and ends on August 24th. Use the simple Rafflecopter form below to enter. A big thank you to Kidsumers for putting together this incredible giveaway. I received no compensation or product for my participation.